1: As part of their training for “End Of Watch“, Jake Gyllenhaal and Michael Peña spent five months doing 12-hour ride-alongs with on-duty LAPD officers. During Gyllenhaal’s first ride-along, he witnessed a murder. 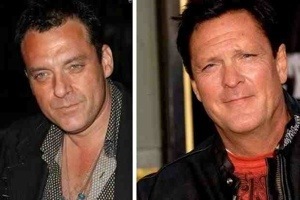 2: Michael Madsen was offered the role of Sgt. Horvath in “Saving Private Ryan“. He turned it down, recommending friend Tom Sizemore for the part instead. Madsen was also originally cast as Michael Cheritto in “Heat” but was ultimately replaced (for unknown reasons) by Sizemore again. 3: David Lynch was originally offered the chance to direct “Return Of The Jedi“. He turned it down because he believed it was “Lucas’ thing.” He went on to direct “Dune” instead. 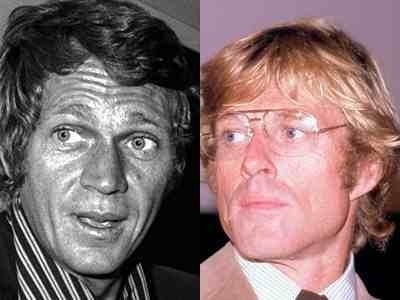 4: “Butch Cassidy And The Sundance Kid” – According to screenwriter William Goldman, his screenplay originally was entitled “The Sundance Kid and Butch Cassidy.” Both Steve McQueen and Paul Newman read the script at approximately the same time, and agreed to do it, with McQueen playing the Sundance Kid. When McQueen dropped out, the names reversed in the title, as Newman was a superstar. 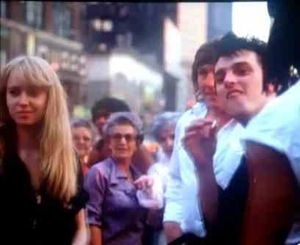 5: In the scene where Robert De Niro and Sandra Bernhard argue in the street in “The King Of Comedy“, three of the “street scum” that mock Bernhard are Mick Jones, Joe Strummer, and Paul Simonon, members of the British punk rock band, The Clash. 6: Samuel L. Jackson’s character, Jules in “Pulp Fiction” was originally written to have a gigantic afro, but a crewmember obtained a variety of afro wigs and one jheri curl wig. Quentin Tarantino had never thought about a jheri curl wig, but Jackson tried it on, Tarantino liked it, and it was kept. 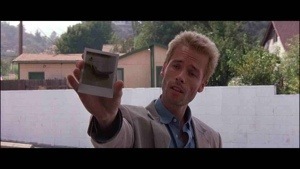 8: Aaron Eckhart, Brad Pitt, Charlie Sheen and Thomas Jane were considered for the role of Leonard Shelby in “Memento” before Guy Pearce got the part. Christopher Nolan’s first choice was Alec Baldwin. 9: The title of “Alien” in Hungarian was “The 8th passenger: Death“. Consequently, the title of it’s sequel “Aliens” was: “The name of the planet: Death“. 10: Steven Spielberg considered directing the film “Three Amigos!” but chose to do “E.T. the Extra-Terrestrial” instead. 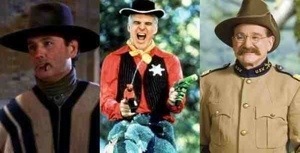 He has said in interviews his choices for the roles of the Three Amigos were Steve Martin for Lucky Day, Bill Murray for Dusty Bottoms (ChevyChase’s role) and Robin Williams for Ned Nederlander (Martin Short’s role). This entry was posted on December 4, 2012 at 10:41 am and is filed under Uncategorized with tags 2012. You can follow any responses to this entry through the RSS 2.0 feed. You can leave a response, or trackback from your own site. Again some nice facts. 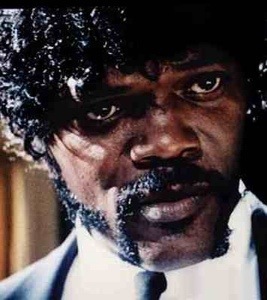 Didn’t know about a lot of them and nice one about Samuel L. Jackson’s wig. It also shows that Gyllenhaal has done the work, I thought it was an amazing performance. Thanks Nostra. I’d heard of Jackson’s wig a while ago but sometimes these little bits of info escape your mind sometimes. Totally agree on Gyllenhaal. The work that he put in, paid off. 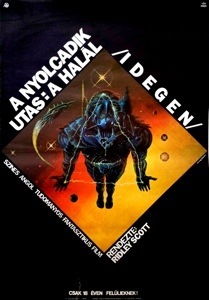 Love the Hungarian titles for the Alien films 🙂 Would make a good topic – foreign title variations, I’m sure there are some belters out there. Thanks Chris. I liked those ones as well. I remember Henry – from The FilmFellas site – doing a post that dealt with loads of them. I forget a lot of them now but he delivered better ones than that. I didn’t know about Jackson’s wig and that Spielberg was supposed to direct The Three Amigos. I heard that one about David Lynch directing Return of the Jedi before. Good trivia as always. Thanks for the trivia. Most I did not know. Wonderful, wonderful, wonderful! Man I love these. Cheers 🙂 – Cheers 🙂 – Cheers 🙂 My friend. Glad you’re still getting your kicks from them. Great trivia, the End of Watch one is interesting. Thanks Vinnie. It just goes to show how committed Gyllenhaal can be sometimes. It’s shows in his overall performance. I still have the next assignment in hand but not viewed…. Great set of trivia again Mark. As I just saw Hitchcock, I knew about that bit about the shower scene. I think Hitch made a good decision to keep that iconic score, it made it even more terrifying! Tom Sizemore is an interesting character. I had the pleasure of seeing him pretty close during Q&A at TCFF, but I was too chicken to ask him a question, ahah. He must be thankful to have a friend like Madsen who continually give him his job, ahah. Madsen seems like a trouble maker, as I think he could’ve been a much more successful actor with all the opportunities presented to him. Totally agree on the Psycho score Ruth. Hitchcock made a good call to keep it. Man that would have been cool to be around Sizemore. I’ve always been a fan of his. It’s funny you reckon Madsen is the troublemaker though. I’ve always thought it was Sizemore. Still, Madsen has knocked back so many good roles for one reason or another. He’s made some very poor choices over the years. He seems like a friendly guy. There were certainly plenty of opportunities to approach him as he was waiting for his pick-up car in front of the hotel and he doesn’t have his ‘people’ around him y’know. I wish I had muster up the courage to say something. I was gonna ask him about his experience working w/ Kathryn Bigelow on Strange Days with that wig on, ahah. Haha. Yeah, nice wig! He’s appeared briefly in a couple of Bigelow’s films beforehand – Blue Steel and Point Break. Haven’t seen him for a while though. I hope he’s not falling into obscurity, I always liked Sizemore. Awesome post as usual. So many great “What ifs” in this series. Lynch and Jedi does seem strange though doesn’t it? Still… not much stranger than Dune. I’m glad about Butch and Sundance as well. I was never that keen on McQueen to be honest. I like Redford though. Great partnership with Newman. I’ll tell you this though: I can’t quite picture Bill Murray and Robin Williams singing My Little Buttercup, can you?! Oddly, I can see Murray and Williams singing My Little Buttercup. LOL. classic scene that one! Great trivia post, as always! Reading that the performers actually spent a great deal of time doing ride-alongs makes me really want to see End of Watch. Authenticity is missing from most police movies. Thanks Steph. The rapport between Gyllenhaal and Pena is certainly worth the effort they put in. It’s a good film, if only for the two of them. 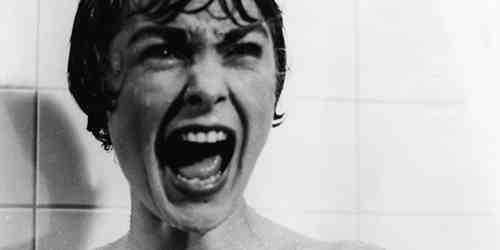 So glad they ended up using music in Psycho, can’t imagine that scene without it! I can’t either Sati. It’s one of cinema’s most iconic scenes and that’s thanks to the music as well. 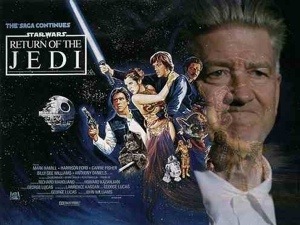 David Lynch Star Wars! Now that I would love to see. Imagine a David Lynch Disney film…that was Star Wars. forgot to say, I learned an amazing wee bit of trivia at Edinburgh Zoo the other day. The sounds that ‘Chewbacca’ makes are taken from real Sun Bears…. you can have that one for free. 4 and 7 are my favourites. Pyscho and Jaws are the two most famous scores for sure. No doubt about it. When you think of film scores those two pop into your mind straight away. Love that Hitchcock paid out on that too. Having read this I believed it was rather enlightening. I appreciate you spending some time and energy to put this content together.